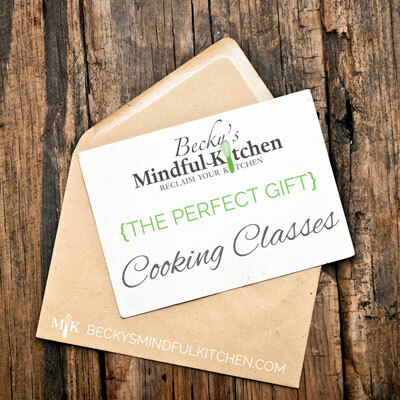 There are countless reasons and opportunities to give the gift of a cooking class, and no matter your reason, Becky’s Mindful Kitchen is the place to go. To get started, purchase the eGift card here based on class size or type (public or private) and you’ll receive a downloadable eGift card (see sample below) that can be printed out and presented to your friends, family, co-workers or other lucky individuals. To redeem, they can come back to the site to learn about the variety of private cooking classes or public cooking classes, then contact me to customize a class. Class sizes of up to 12 people. The $60 public class fee is per person and includes the $50 class registration fee plus $10 material fee (covers food and equipment costs). 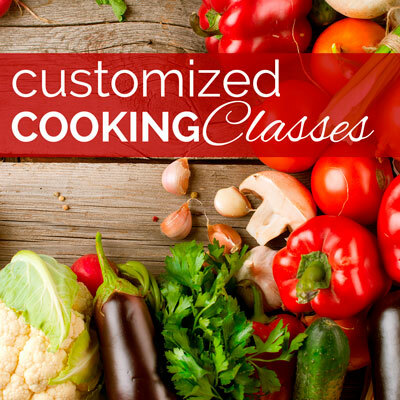 To view the upcoming public cooking classes, click here. Class sizes of 1 person. The $150 private class fee is per person and includes the $140 class registration fee plus $10 material fee (covers food and equipment costs). Class sizes of 2 people. The $150 private class fee is per person and includes the $140 class registration fee plus $10 material fee (covers food and equipment costs). Class sizes of up to 4 people. The $100 small group class fee is per person and includes the $90 class registration fee plus $10 material fee (covers food and equipment costs). Class sizes of up to 6 people. The $60 large group class fee is per person and include the $50 class registration fee plus $10 material fee (covers food and equipment costs). OR, buy eGift cards by dollar amount: $25, $50, $75, $100, $200, $500. 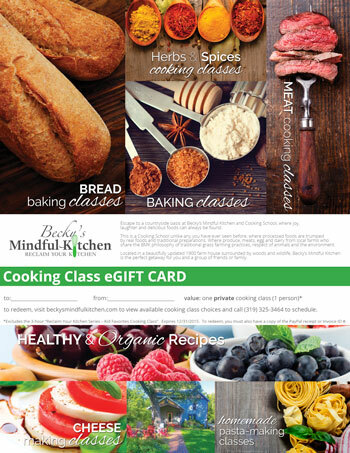 After you confirm the purchase through PayPal, click the link “Return to Becky’s Mindful Kitchen”. The link to download the eGift card will be listed within your order details.